Nanocellulose has great potential for end use in the pulp and paper industry, but its mechanical production process is often extremely energy intensive. Although various pre-treatment methods have been introduced to significantly lower the energy consumption of nanocellulose production, there still remains a great challenge to match the cost to mechanical strength performance of nanocellulose. This research investigates the relationship between energy consumption with numerous refining and homogenization cycles towards the production of high aspect ratio and low diameter nanocellulose, and whether this is necessary to achieve high strength sheets. Never-dried Bleached Eucalyptus Kraft pulp was mechanically treated with a PFI mill refiner and homogenizer. The actual homogenization energy measured on a lab scale was significantly higher than that predicted only from the simplified pressure drop equation which is inaccurately independent of homogenizer design and size. We measured two aspects of fiber quality believed to be related to sheet mechanical strength: the fiber diameter, which is inversely proportional to the surface area available for bonding, and the fiber aspect ratio, which is believed to control the efficiency of stress transfer within a network. Both refining and homogenization reduced the fiber diameter and increased the aspect ratio, but homogenization was more effective at both. There was surprisingly little correlation between the measures of fiber quality and mechanical sheet strength. All PFI mill refined samples had a tensile index of around 100 Nm/g, while additional treatment with homogenization increased this only by approximately 20%. This was despite the most heavily treated fibers (50,000 PFI revolutions and 3 homogenization passes at 1000 bar) having a median diameter of 12 nm and aspect ratio of 229 compared to the least treated fibers (10,000 PFI revolutions) with a median diameter of 31 nm and aspect ratio of 102. The most heavily treated fibers required 39,000 kWh/t of energy, a tenfold increase over the least heavily treated fibers. 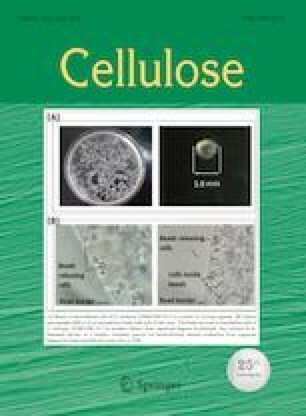 The results confirmed that there was small benefit, in terms of mechanical strength, of using very large amounts of energy to produce very low diameter, high aspect ratio nanocellulose fibers. The online version of this article ( https://doi.org/10.1007/s10570-019-02400-5) contains supplementary material, which is available to authorized users. The authors wish to thank Australian Paper Maryvale for their support and funding for the research project. The authors also wish to acknowledge the Monash Centre of Electron Microscopy (MCEM) for use of their SEM facilities. Shaun Ang would like to thank the Australian Government for a Research Training Program (RTP) scholarship.